Figure 16.11: Ellipse. 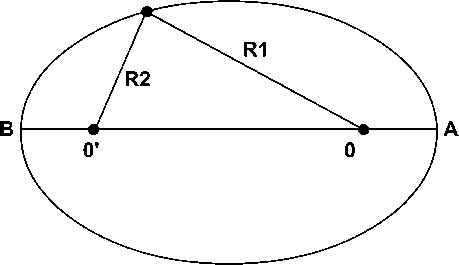 An ellipse is defined as the collection of all points for which the sum of R1 and R2 is a constant. Also, an ellipse is the closed curve generated by the point P (the locus of the points P) moving in such a way that the sum of its distances from two fixed points, the foci (O' and O), is a constant. The planet is at P. The Sun is at one focus point, either O' or O. AB is the major axis. The minor axis is perpendicular to AB and intersects it at its midpoint, midway between O' and O.
a the early stages of the Renaissance. Indeed, Kepler explicitly contrasted the difficulty of his Astronomia nova to the Conics of Apollonius. The circle and the ellipse are both conic sections, as Kepler noted: "[T]he circle and the ellipse are from the same genus of figures" (Voelkol, Kepler's Astronomia Nova, 190). What, then, is so difficult or revolutionary in substituting one for the other in planetary theory? Neither geometrical figure was, for Kepler, any more natural or more perfect than the other. Kepler's obsession with physical aspects may also have contributed to the surprising ease with which he abandoned uniform circular motion. Epicycles, for him, existed only in thought, not in reality. Nothing coursed through the heavens except the planets themselves. In addition to possible philosophical reasons, there was also an immediate practical reason for Kepler to embrace the ellipse: its geometrical properties simplified his calculations. He had discovered another numerical harmony, that the line joining a planet to the Sun sweeps out equal areas in equal intervals of time, and it was easier to calculate the area for an elliptical orbit than for an oval orbit. That the planets move faster the nearer they are to the Sun had already been cited by Copernicus as a celestial harmony. Kepler now found further harmony in a quantitative formulation of the relationship: equal areas in equal times. It was not immediately apparent, though, that this discovery would be hailed enthusiastically in textbooks four centuries later as Kepler's second law. Figure 16.12: Kepler's Law of Equal Areas. The radius vector, the line from the Sun to the planet, sweeps out equal areas in equal times. If the areas of the two segments are equal, then the times for the planet to travel between points A and B and between points C and D are also equal. Thus the distance of a planet from the Sun is inversely related to its orbital velocity: as the distance increases, the velocity decreases. that the Sun diffused motive power across the region containing the planets in the same way that God acted through the Holy Ghost. And consequently, it followed that motion was proportional to distance. Kepler ended his Astronomía nova with an appeal. Arithmetic and geometry had triumphed in the battle against Mars. Now, Kepler wished to press the battle against the other planets: "Yet, I beseech Your Majesty to remember that money is the sinew of war, and to have the bounty to order Your treasurer to deliver up to Your general the sums necessary for the raising of fresh troops" (Kayré, Astronomical Revolution, 278). The emperor's treasurer had difficulty even finding funds to proclaim the victory over Mars. Finished in 1606, the Astronomía nova wasn't published until 1609. Kepler's situation only worsened. The year 1611 was an altogether dismal and calamitous year. His salary was in arrears, as usual. War spread to Prague, bringing epidemics. Kepler's wife and one of his children died from diseases. And the emperor abdicated. The following year, Kepler was given the position of provincial mathematicus in Linz, the capital of Upper Austria. At least the Austrians were able to pay his salary. War eventually reached Linz, and in 1628 Kepler moved again, becoming court astrologer to the Duke of Wallenstein. Two years later, off attempting to collect money still owed him by the imperial treasury, Kepler became ill with a fever and died. The years in Linz had been productive. Kepler published the Harmonice mundi (Harmonies of the World) on cosmic harmony in 1619; the Epitome astronomiae Copernicanae (Epitome of Copernican Astronomy) in three parts, between 1617 and 1621; and in 1627 the Tabulae Rudolphinae (Rudolphine Tables) of planetary positions, begun by Tycho under the patronage of Rudolph II nearly three decades earlier. In both Harmonies of the World and Epitome of Copernican Astronomy the archetype of the universe remained the five regular solids. Nor were other harmonic consonances expressed by the Creator neglected. Kepler believed that God established nothing without geometrical beauty. 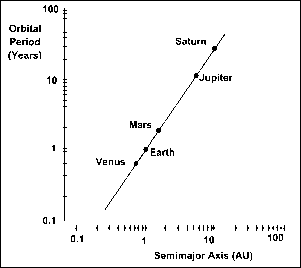 Kepler compared the intervals between planets with harmonic ratios in music. He believed that the planetary orbits were governed by simple mathematical relations analogous to the mathematical relations discovered between harmonious musical tones by the Pythagoreans. Among many propositions in the Harmonies of the World detailing various planetary ratios was the statement that the ratio of the mean movements of two planets is the inverse ratio of the 3/2 powers of the spheres. Readers could scarcely have guessed that this particular harmony would later be singled out for acclaim as Kepler's third law while all the other numerical relationships in the book would be discarded as nonsense, tossed into the garbage can of history. Figure 16.13: Kepler's Music of the Spheres. Kepler believed that the most wise Creator created harmonies between the planetary velocities, and that the harmonies are communicated to us by sound. Musical intervals correspond to ratios of the greatest and least velocities of each planet. Mercury and Mars with the most eccentric orbits, and thus greatest range of velocities, have the largest range of musical notes. Plato had believed that through imitating the music of the spheres, humankind was returning to paradise, and the Roman Cicero wrote similarily that music enabled humankind to return to the divine region. Dante heard the music of the spheres as he ascended from purgatory to heaven, and Bach imagined that the sounds from his piano were a message from heaven. More recently, Einstein wrote that Mozart's music is so pure that it seems to have been present in the universe waiting to be discovered. Laws of physics, too, are preestablished harmonies with stunning symmetries waiting to be plucked out of the cosmos by someone with a sympathetic ear. How could anyone have ever noticed the correlation between distances squared and periods cubed? Two simplifications render the relationship more visible. First, if numbers are expressed in astronomical units and years, the distance and the period for the Earth are both 1. Second, Kepler's third law is a simple linear relationship between the logarithms of the planets' orbital periods and their distances from the Sun. Once Kepler began using logarithms, he would have seen his data in a new way, and his marvelous mathematical mind then could more easily have noticed the logarithmic harmony. That Kepler was thinking in terms of logarithms is suggested by his language: he wrote of the 3/2 power, as one would if thinking logarithmically, rather than expressing his law in squares and cubes, as is now usually done. Figure 16.14: Log—Log Plot of Orbital Period versus Distance from the Sun. John Napier, a Scottish nobleman, invented one of the most useful arithmetical concepts in all of science and published it in 1614 in his book Mirifici logarithmorum canonis descriptio (Description of the Admirable Table of Logarithms). Logarithms reduce the otherwise lengthy process of multiplication to simple addition. This might not seem like a big deal to owners of electronic calculators, but logarithms roughly doubled Kepler's productivity and his working lifetime. The logarithm L to the base 10 of the number X is defined by the equation X = 10L. Thus for numbers between 0 and 10, the logarithm will be between 0 and 1; for numbers between 10 and 100, the logarithm will be between 1 and 2; and so forth. The logarithm of 1.3 is 0.113943, and the logarithm of 6.9 is 0.838849. To multiply 1.3 and 6.9, add their logarithms, obtaining 0.952792, which is the logarithm of the product of 1.3 and 6.9. Finding a number when its logarithm is known is called finding the antilogarithm. Napier compiled tables in which logarithms and antilogarithms could be looked up. To square a number, which is the same as multiplying it by itself, either add the two identical logarithms together or multiply the logarithm by 2. To cube a number, multiply the logarithm by 3, and so forth. Division is performed by subtraction, comparable to multiplication by addition. Square and cube roots are calculated by division, comparable to squaring and cubing numbers by multiplication. sun of a most wonderful vision—nothing shall now hold me back" (Koestler, Sleepwalkers, 393). The first dawn for Kepler's third law may have been when he first learned of logarithms, late in 1616. Broad daylight would have been March of 1618, when Kepler tested the third law but made errors in his calculations and set the idea aside. 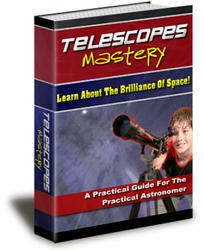 Full Sun was when Kepler took up again the calculations in May of 1618 and this time got them right. Kepler was the first astronomer to seek universal physical laws based on terrestrial mechanics comprehending the entire universe quantitatively. He struggled to develop a philosophy or physics of celestial phenomena in place of the theology or metaphysics of Aristotle and in place of the traditional astronomers' fictitious geometry of epicycles and equants. 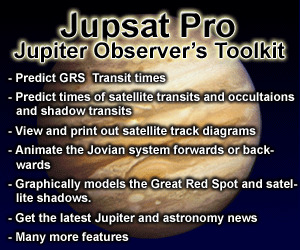 Kepler asked questions others didn't; he sought answers where others didn't even see problems. Copernicus had noted that the motion of the heavenly bodies was circular because rotation was natural to a sphere; no further explanation was required. Nor, indeed, was explanation even a concern of Greek geometrical astronomers. They described how the heavens went; they didn't explain why. The physical nature and cause of orbital motion was, however, central to Kepler's concerns. His astronomy was revolutionary, or would have been had anyone paid any attention to it. Brilliant as Kepler's work was, it won few adherents. The physical causes, the five regular solids, and the musical harmonies were all alien to traditional astronomy. Kepler's planetary theories commanded assent because of their unprecedented accuracy, but few astronomers adopted them. There was no Keplerian cosmology or world system as there were Ptolemaic, Copernican, and Tychonic world systems. In many ways, Kepler's work was a historical dead end. Nor were Kepler's laws foundational in Isaac Newton's derivation of the inverse square law of gravity, as we will see in the next chapter. Kepler's observations did not lead to Newton's theory. Rather, establishment of the concept of universal gravitation would enshrine Kepler's three laws among the great achievements of science. Kepler's laws were important, however, in the acceptance of Newton's theory.